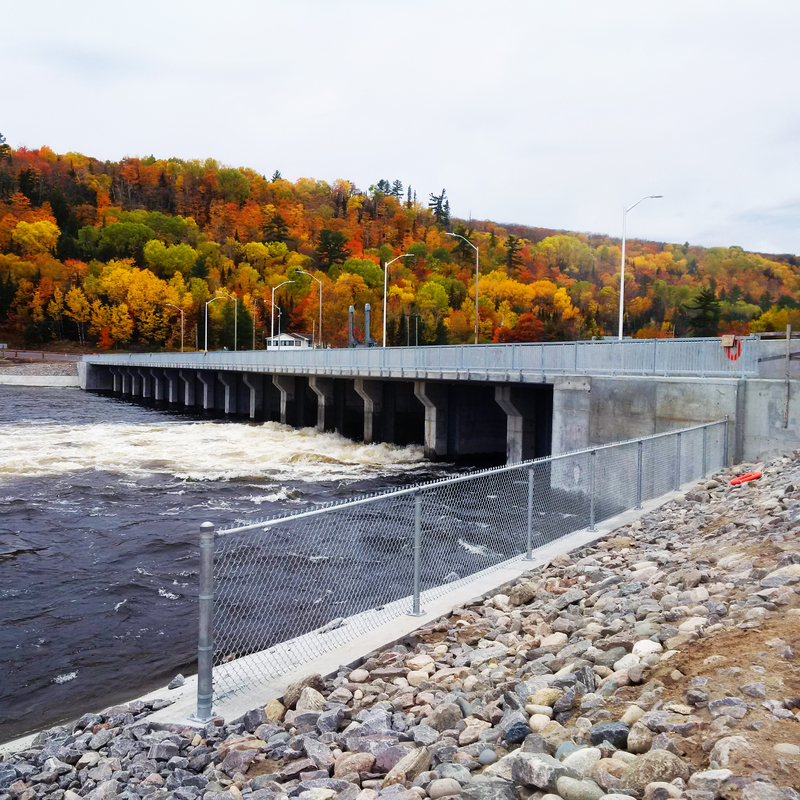 The Timiskaming Dam Complex is located approximately 65km northeast of North Bay Ontario, on the border between Quebec and Ontario. 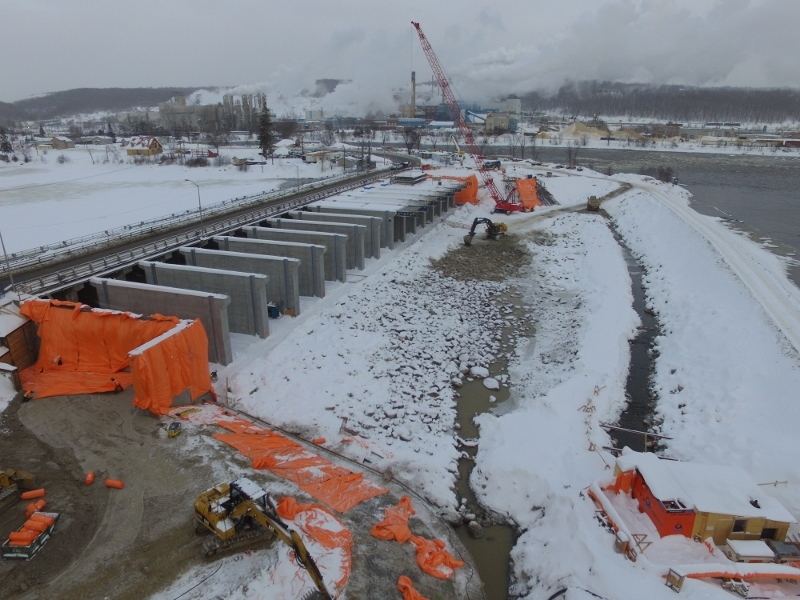 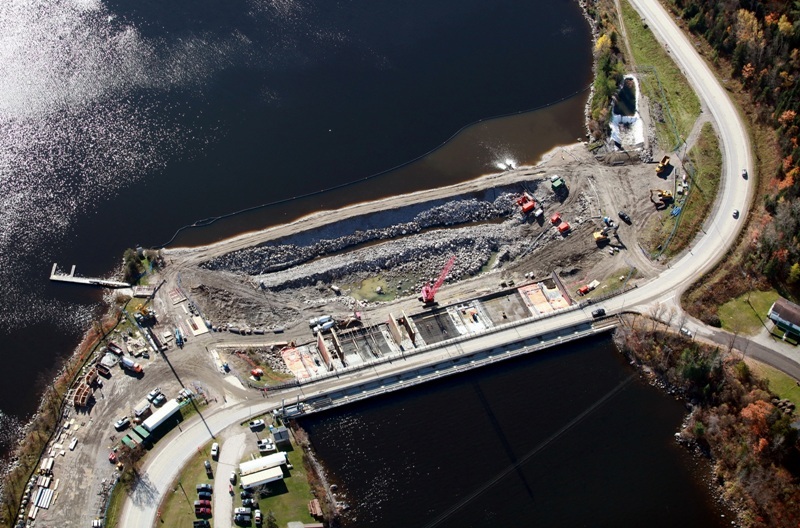 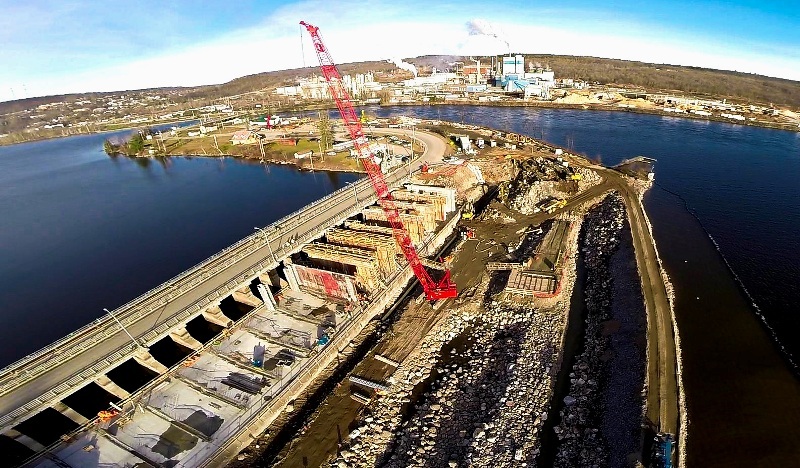 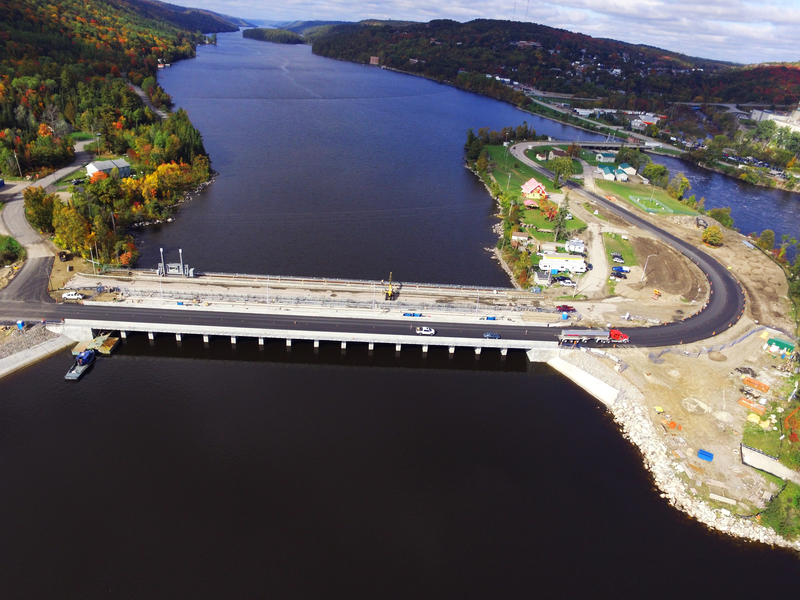 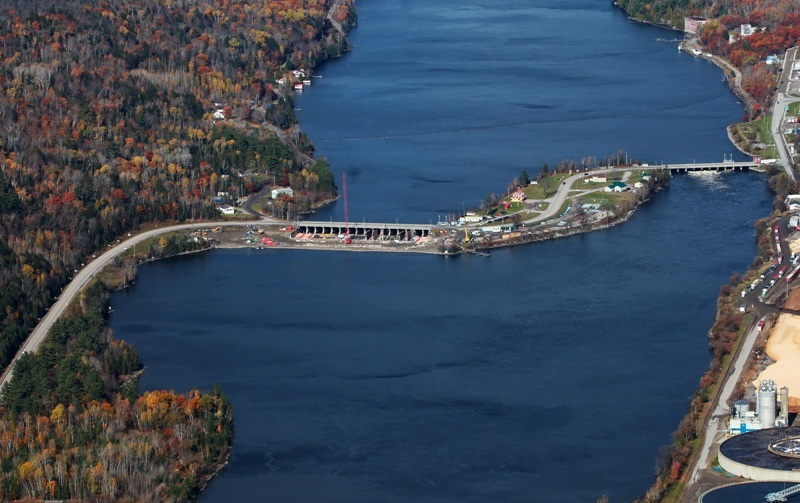 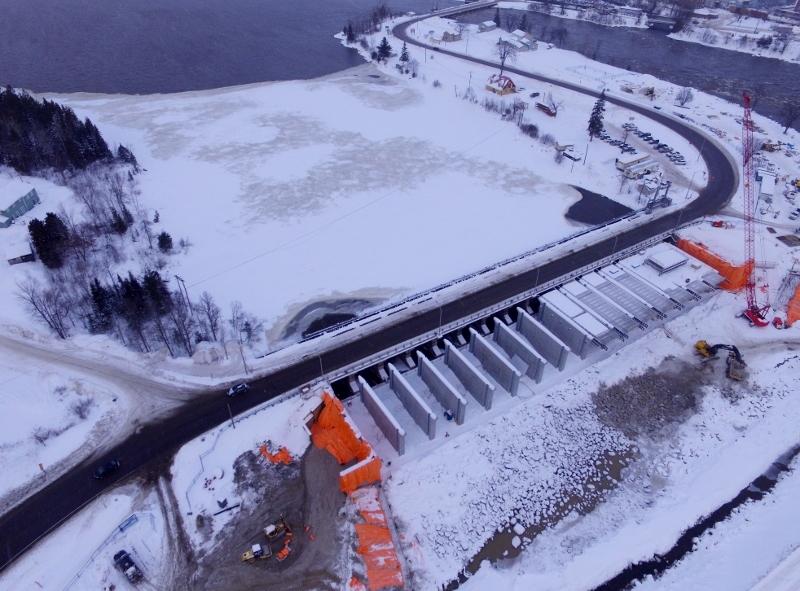 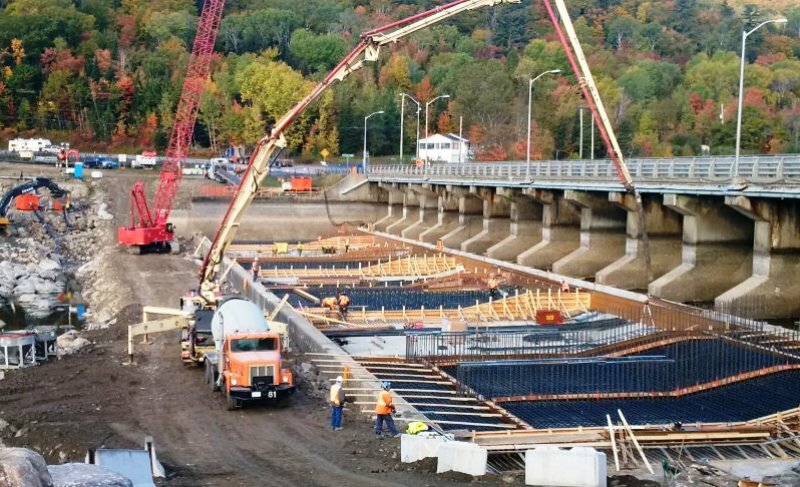 The work included the construction of a temporary downstream cofferdam; complete replacement of a 120m wide flow control dam on the Ottawa River; installation of new dam approach road; demolition of the existing dam road deck and piers; commissioning the new dam operational equipment system. 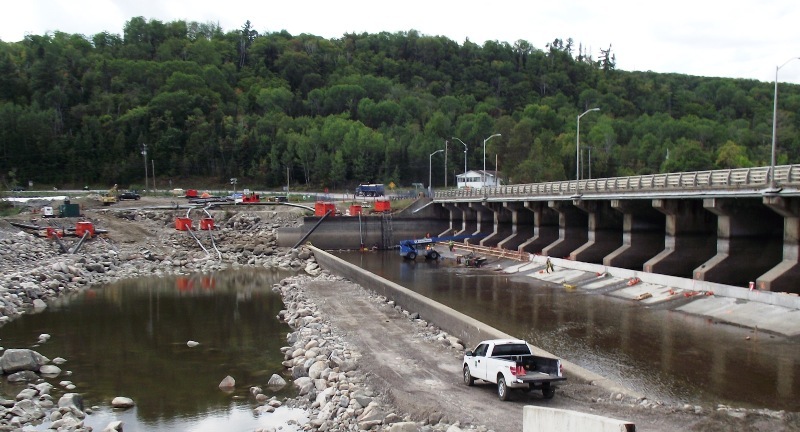 Construction and demolition was done in phases to accommodate the numerous restrictions, fish spawning-in water work, spring freshet releases, high pressure gas mains and permits.